Size of this preview: 800 × 511 pixels. Other resolutions: 320 × 204 pixels | 640 × 408 pixels | 926 × 591 pixels. 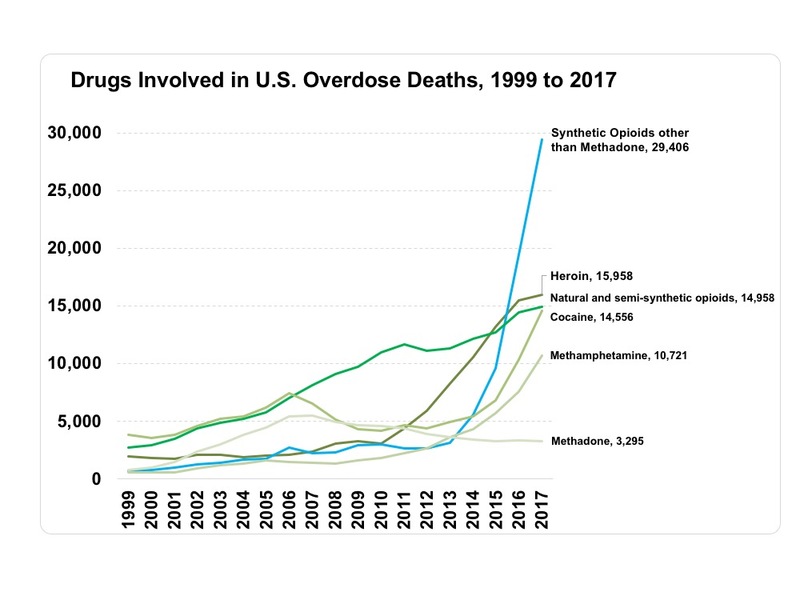 English: "Drugs Involved in U.S. 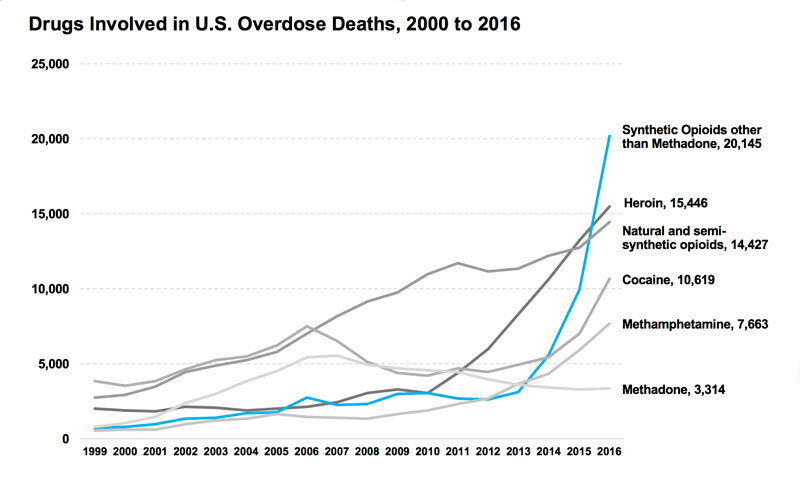 Overdose Deaths* - Among the more than 72,000 drug overdose deaths estimated in 2017*, the sharpest increase occurred among deaths related to fentanyl and fentanyl analogs (synthetic opioids) with nearly 30,000 overdose deaths. Source: CDC WONDER ... * Provisional counts for 2017 are based on data available through 12/17 but are not yet finalized. Counts through 2016 are based on final annual data." Date 29 October 2017 - date of first upload to the Commons. See file history for dates of later uploads. Author National Institute on Drug Abuse (NIDA). This page was last edited on 3 April 2019, at 10:13.